Many, many years ago I vacationed in Sint Maarten (the Dutch name) aka Saint-Martin (the French name), an island in the Caribbean that is half French and half Dutch. While visiting the Dutch side, my friend and I discovered how delicious Indonesian food was, and we ate at several restaurants that served riistafel (Indonesian banquets). I came home craving more of that delicious food, but alas could not find any Indonesian restaurants in the NYC area (don’t forget, this was eons ago – now there are a few to be found). If this had been in the memorable past, I would then have gone online and looked up Indonesian recipes, but since this predated the internet I was pretty much out of luck as I don’t think there were even any Indonesian cookbooks on the market. That’s when I came across a class being offered in Indonesian cooking and I signed up immediately. The good news was that the instructor (sorry I don’t remember his name) was excellent and I learned a good deal about Indonesian cooking, as well as where to buy Indonesian ingredients (there are 2 stores in Chinatown). This was one of the recipes I learned in that class, I was a little leery when I first read the recipe as it had never occurred to me to cook cucumbers but after we made it I was completely sold. 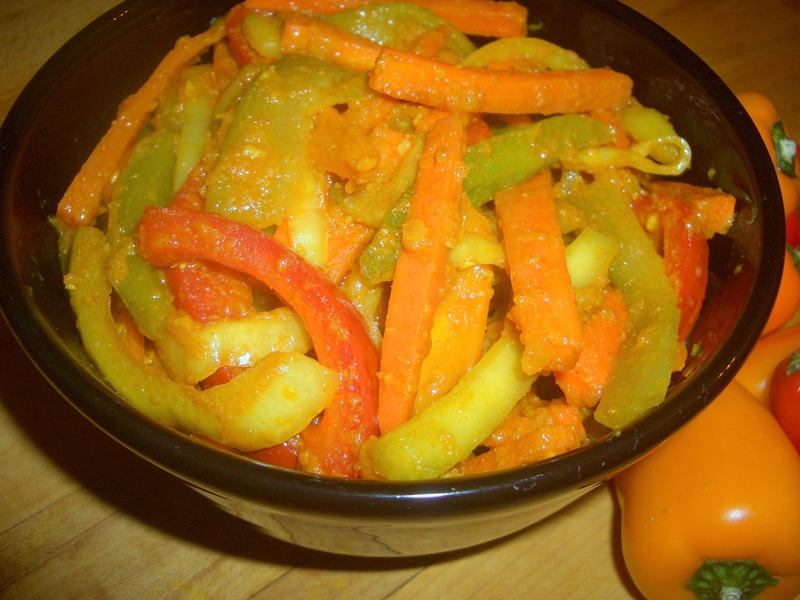 The recipe was titled Acar Campur – however after checking out other recipes online, it looks like Acar Campur is actually pickled vegetables and this recipe is more like a stir-fry with some elements of pickling (ie sugar and vinegar). Whatever you call it, this is a delicious and unusual way to serve vegetables. 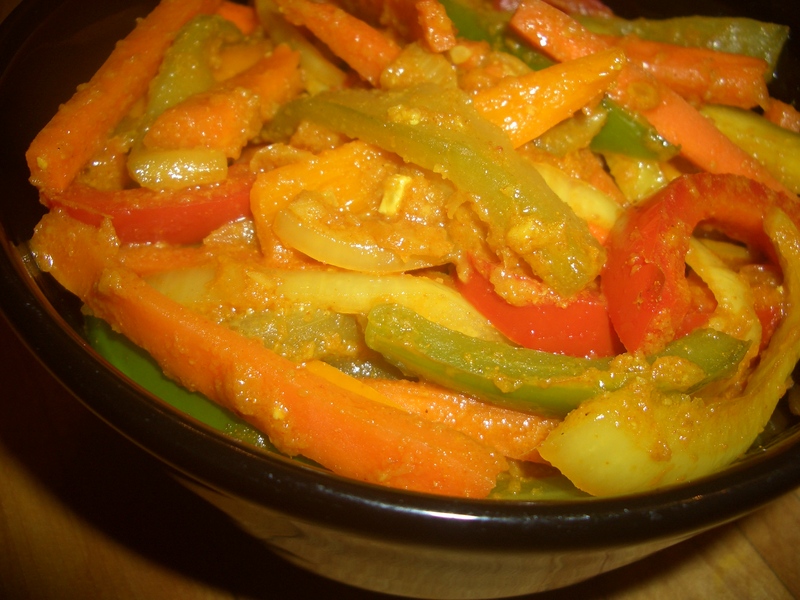 These vegetables are equally delicious served warm or cold. 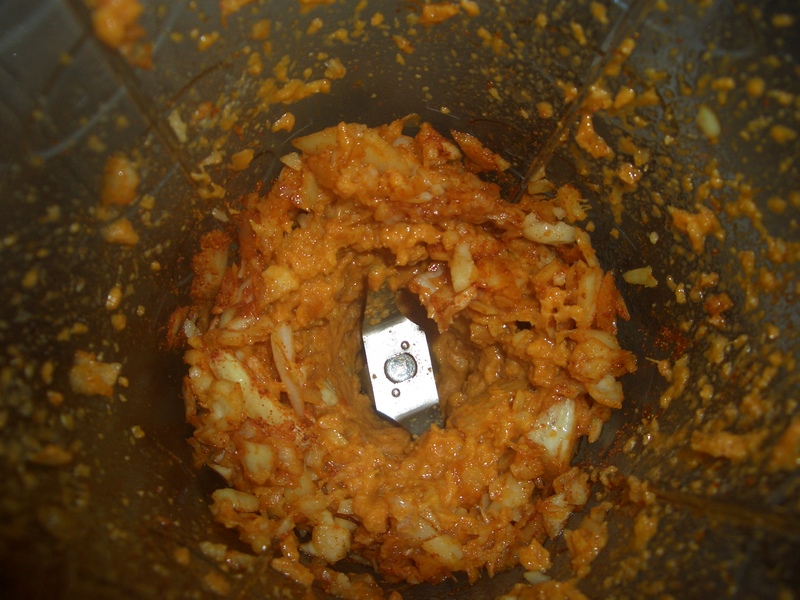 Place the onion, 2 tablespoons of the oil, garlic, paprika, kemiri or macadamia nuts, turmeric, and ginger into a blender or food processor container. 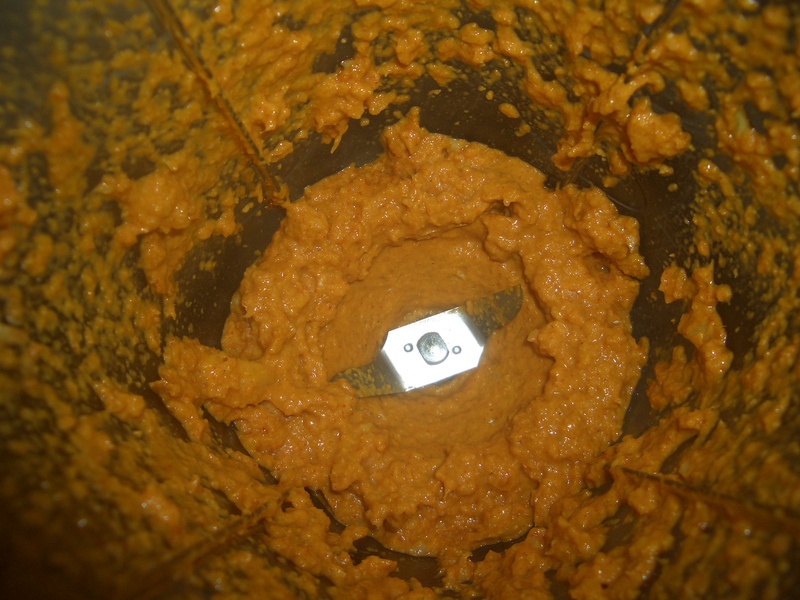 Cover and process until it forms a paste, stopping once or twice to push the pieces toward the blade if necessary. 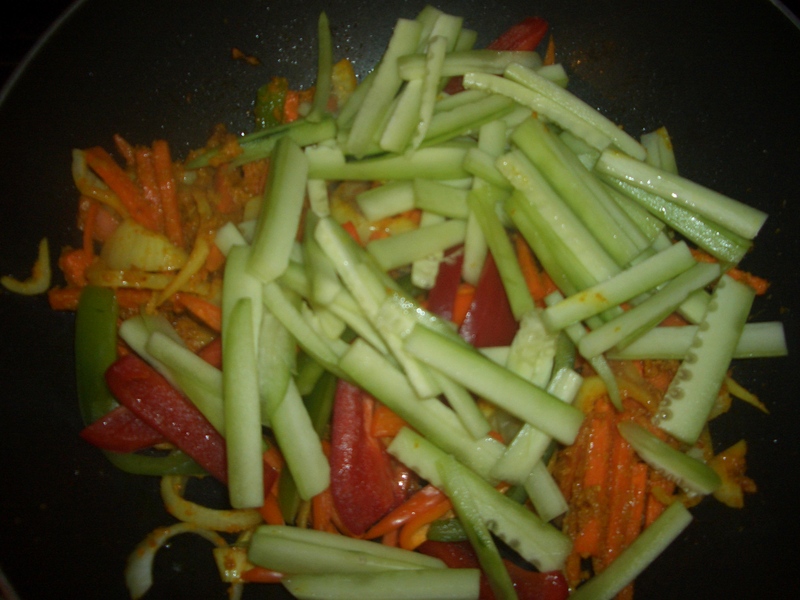 In a wok or large skillet heat the remaining 2 tablespoons of oil. 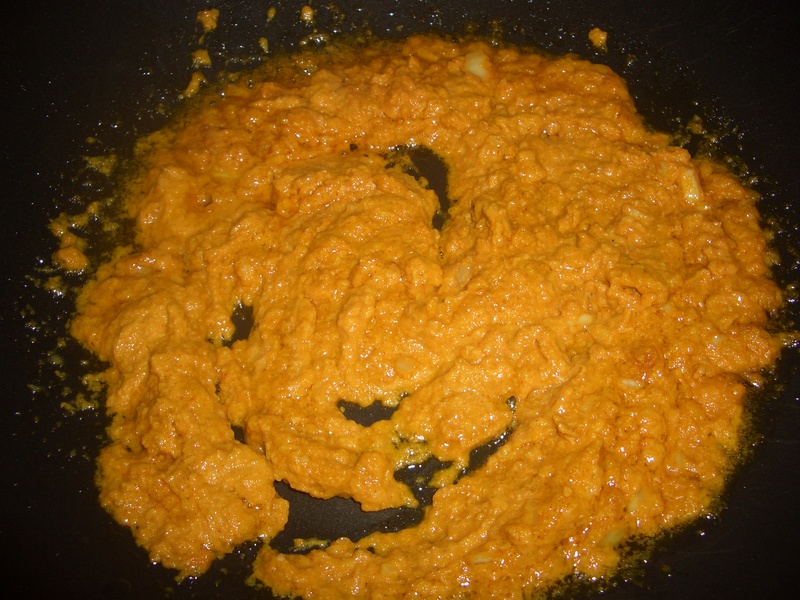 Add the spice paste and cook, stirring, 2 minutes. 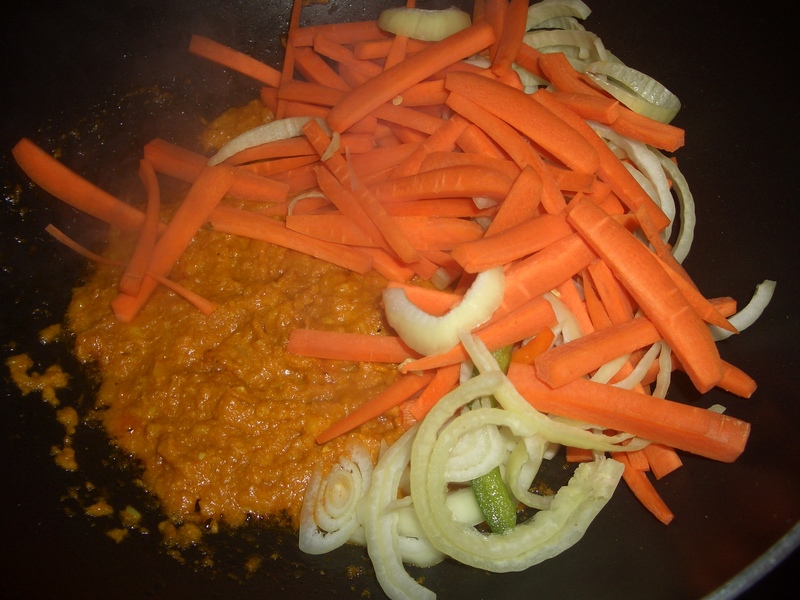 Add the carrots and onions and cook, stirring 2 minutes. Add the peppers and cucumber and stir fry until tender. Stir in the vinegar, sugar, and salt. 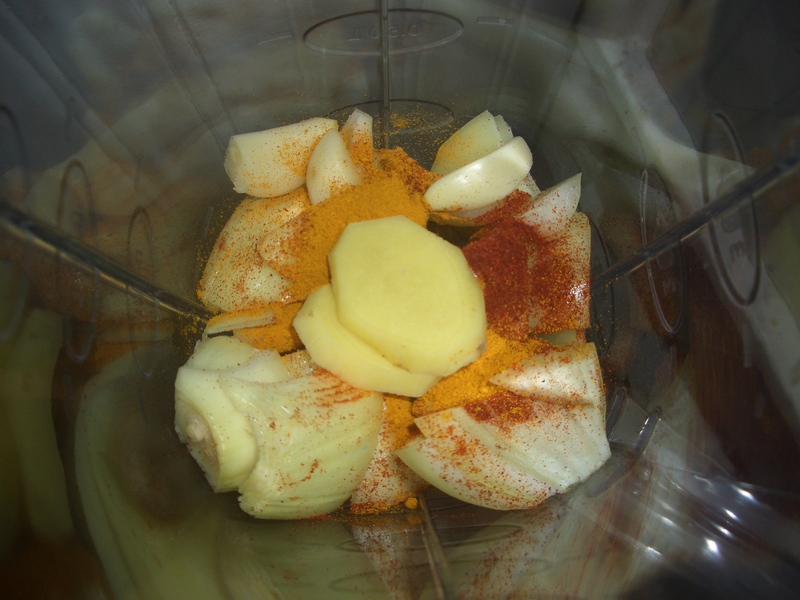 Cook, stirring, 1 minute longer. Place in serving bowl.